Bring out the carpenter within using The Original Bird House Book. This work offers step-by-step instructions for creating 26 different bird houses. Each house is explained in steps, with black and white sketches illustrating each step. Materials and tools lists precede each set of instructions, and an introduction explains the necessary specifics of each house. Great care and detail accompanies each introduction, with the help of noted ornithologists. Another chapter is dedicated to helping you get started on building your own bird houses. 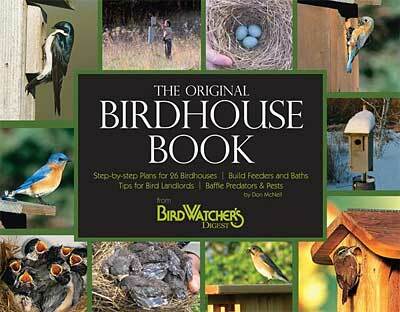 The Original Birdhouse Book is a fantastic supplement to any bird lover's or builder's annals.